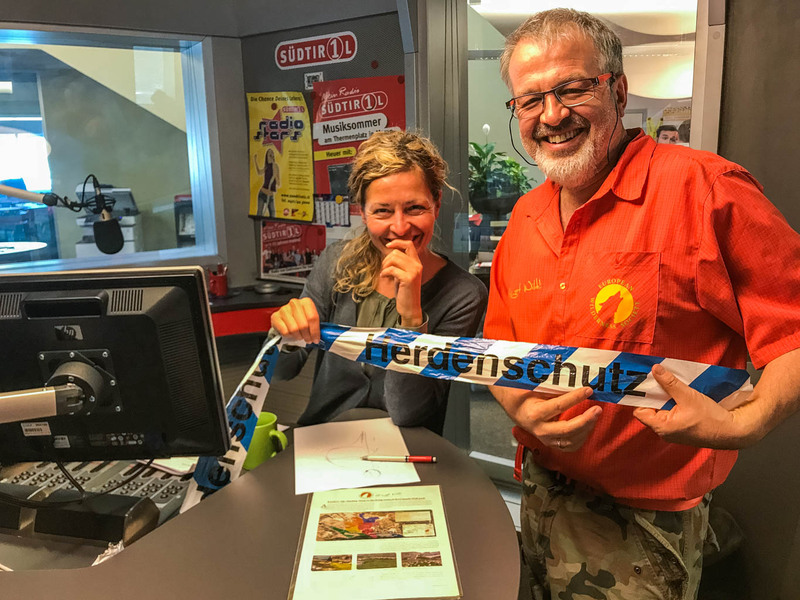 On Sunday April 8th from 10:00 to 12:00 o’clock, the South Tyrolean radio station Südtirol 1 host Sarah Benardi interviews Max Rossberg for their breakfast morning show Feuer und Flamme with on private topics, his dedication to nature conservation, wilderness and the return of the wolves and what this means to South Tyrol. The Italian province of South Tyrol is home to several wolves, and livestock owners are worried. But the solution to a sustainable coexistence is at hand. We know that herd management is more effective than killing wolves. There are numerous examples, for example also in Germany and Switzerland. Just across the Swiss border, we find a shepherdess that lives right in the middle of the famous Calanda wolf pack. With over 400 animals, she uses guard dogs to protect her herd against wolves. And the results are a clear answer. For many years, she has not lost a single animal to wolf depredation. The breakfast morning show hosted by Sarah Benardi with Max Rossberg will air online and on the radio between 10 and 12 this Sunday morning. Visit Radio Südtirol 1 here. Do you want to hear more interviews? Check out the podcast ‘Making peace with Wolves’.